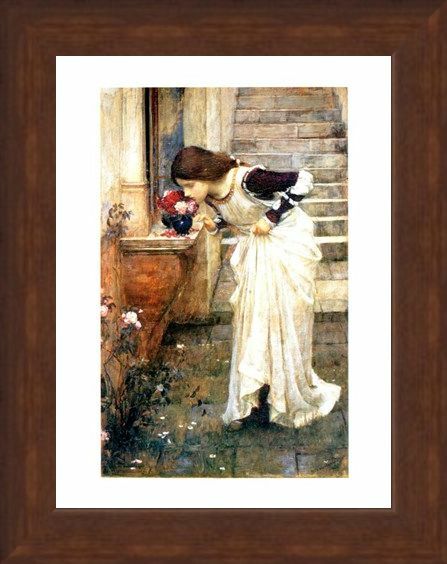 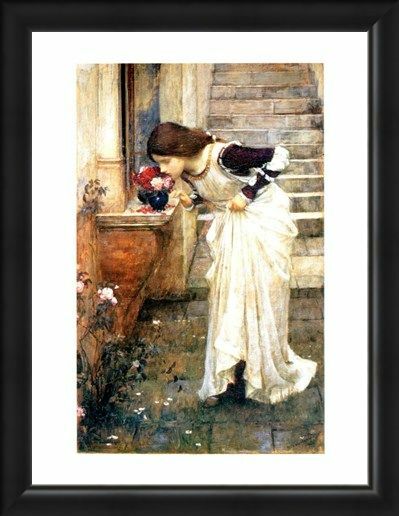 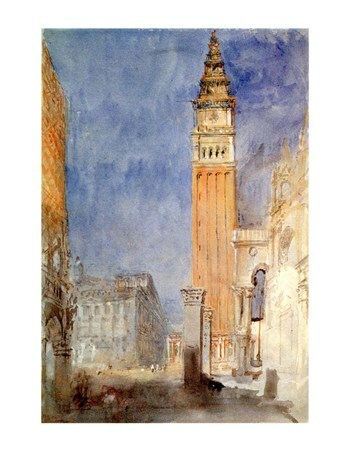 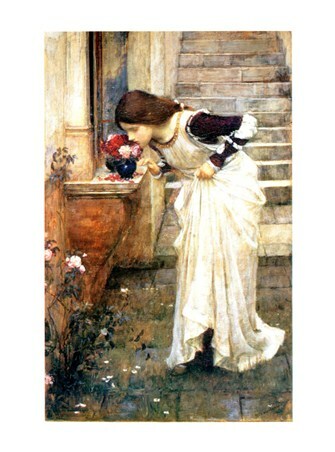 Pre-Raphaelite Art Print: John William Waterhouse was an English artist best known for his portrayals of female characters from Greek and Arthurian mythology. 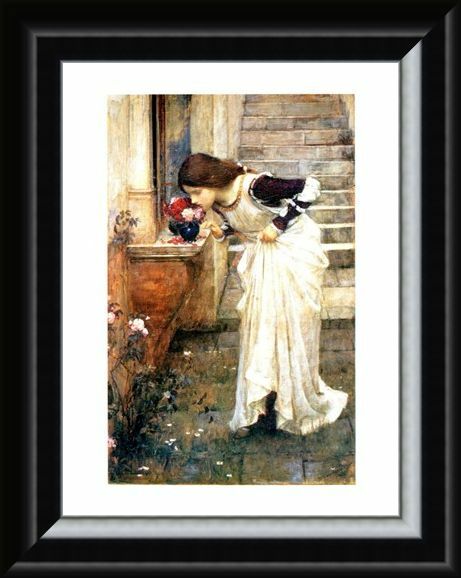 'The Shrine' is a beautiful piece which shows a young woman in a white dress admiring some brightly coloured roses upon a ledge as the background leads off to some stone steps which the young woman may have descended to reach her gathering of flowers. 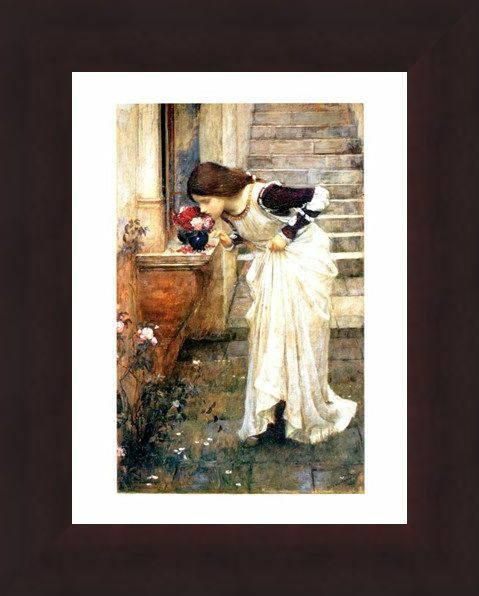 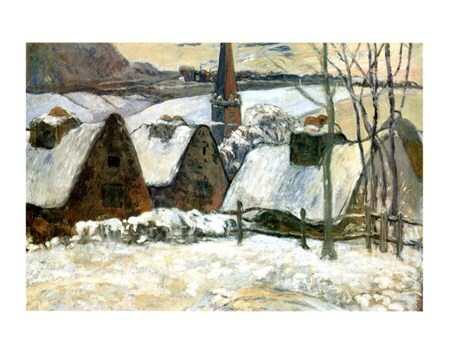 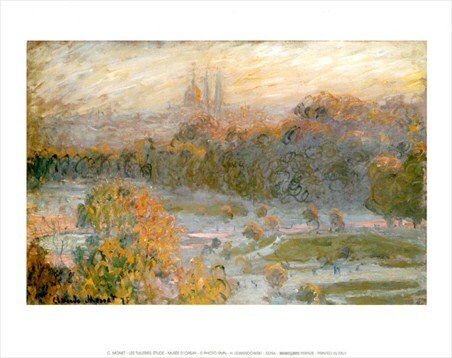 This lovely print is guaranteed to brighten up your room and its romantic feel is sure to life your mood. 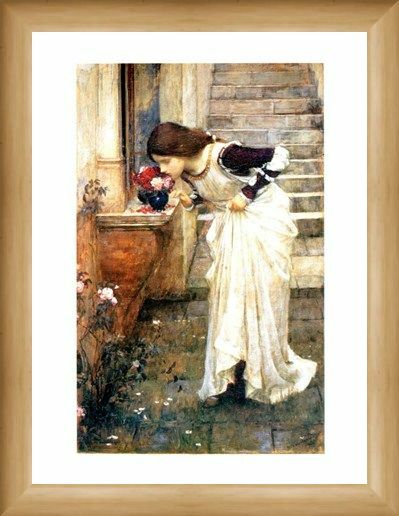 High quality, framed The Shrine, John William Waterhouse mini print with a bespoke frame by our custom framing service.